Welcome to the Oralift Academy! Oralift Facial Rejuvenation is a natural effective treatment designed to address and delay the signs of facial ageing. Nowadays dentists are asked by their patients to recommend treatments for the face not just teeth. Improving facial aesthetics need not be confined to Botox and fillers. Oralift rejuvenation is achieved simply by wearing an appliance in the mouth for short periods. If you want to take part in a new and exciting way to address the signs of facial ageing we invite you to become an Oralift practitioner. We offer a choice of Online and Live Oralift Courses. Oralift Academy gives professionals access to online courses. Each course is broken up into lessons, and each lesson contains information in the form of videos. The course is based on the live two-day course and should not take more than a weekend. Once you have purchased the Oralift Course, you will be able to complete it online when it’s convenient for you. Each course is broken up into lessons, and each lesson contains information in the form of videos. It is advisable to have a set of appliances while doing the course. These can be purchased at the discounted price from the online shop as soon as you become a Member. Dr. Nick Mohindra also offers live courses throughout the year which are located in the UK. During these courses Dr. Nick Mohindra will demonstrate how facial rejuvenation through dentistry has an anti aging effect. He will cover how to recognize the signs of facial ageing and how to assess which patients might benefit from facial rejuvenation through dentistry. Each course delegate will be given a free set of Oralift appliances valued at £180. To purchase a place on a course please submit your request below. Please note that places on the course are limited so early booking is advised. As well as Online and Live Oralift Practitioner Courses, we offer different Academy Membership plans. You can register to do the Online Course as a trial member of the Oralift Academy for four months for a one off payment of £199.00. You can register as a full member of the Oralift Academy for £10 monthly payments. This enables you to do the Online Course at a discounted fee of £125. You will be entitled to generous discounts in the online shop, and to discounts on future courses. Please note that Oralift Facial Rejuvenation Online and Live Courses attract 12 CPD points. Oralift was placed in the top three non-invasive facial rejuvenation treatments in a recent Daily Telegraph article. It is frequently stated that it takes an average of 17 years for research evidence to reach clinical practice. Innovative treatment undeniably needs to be put on a sound scientific basis but surely with the aid of modern technology we should be able to reduce the time to make it generally available. 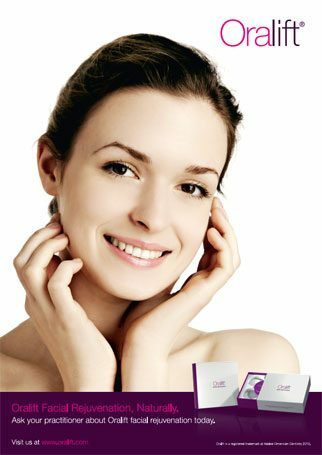 1996 – Dentalfacelift for patients with dentures Br Dent J. 1996 May 11;180(9):344-8. A preliminary report on the determination of the vertical dimension of occlusion using the principle of the mandibular position in swallowing. Mohindra NK. “Nick is passionate about dentistry and his non dental face lift , the Oralift. He is visionary in his thinking and teaches this subject to other dentists. The results are impressive and totally non invasive”. "I really appreciated the explanations about the exact goal of the tick test, the factors involved in the ageing process, the role of the freeway space in the rejuvenating process, the importance of photos, and the Oralift applications beside anti ageing effects." 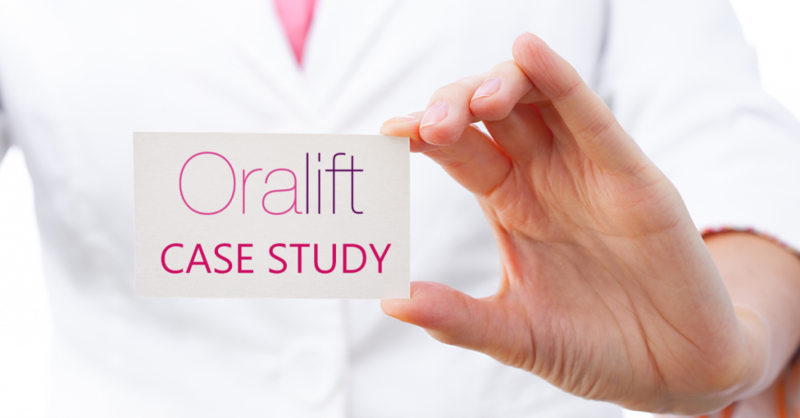 "The course was well organised and structured and has enabled me to feel confident about providing Oralift treatment for my patients ." – Course participant from Switzerland. "The course was simple to do and covered every possible aspect of Oralift, and makes me understand why Oralift is a truly anti ageing treatment, and how patients can look so good ten years after they started Oralift. Definitely the treatment of the future." – Course participant from Brazil. "I believe that no user or promoter of the appliance accessing or using the material could be disappointed with it. Congratulations on producing an excellent and ground-breaking development which I believe will help propel the use and knowledge of the system to new levels." – Dr. David Houston from Houston Smile & Face, England, member of Editorial Board of Private Dentistry, voted second most influential dentist in the UK -Dentistry magazine.